To snag or not to snag. Do you use your hand gestures a lot when you’re talking? Or frequently run your fingers through your hair? Well, if you have a big engagement ring, you’ll have to call it quits with these habits! Large diamonds are more likely to snag or catch on loose clothing and hair, which can cause damage to the material, and pain to your head! If you do decide to go with a big engagement ring, be sure to talk to your jeweler about picking a setting that will protect from snags as much as possible. Sometimes, it all comes down to the dollar signs. The cost of a diamond equals the carat weight times the diamond price per carat, meaning the larger the engagement ring you have, the more you’ll have to pay. Sometimes, picking a diamond that is just a fraction smaller could lead to huge savings, so be sure to ask to see a slightly smaller variation that better suits your budget. Since this is a big decision for any couple, it’s important to decide what kind of investment you can afford to make on the engagement ring prior to buying it. Oftentimes, the big engagement ring debate comes down to a match of big versus brilliant. It is common for smaller diamonds in general to have a better quality and have more “fire”, so women have to decide whether they would prefer a higher quality, small diamond or a lesser quality larger diamond, which equal about the same price. Ladies, remember that the bigger the diamond, the easier it is to spot poor quality, so look carefully when eyeing a big diamond. 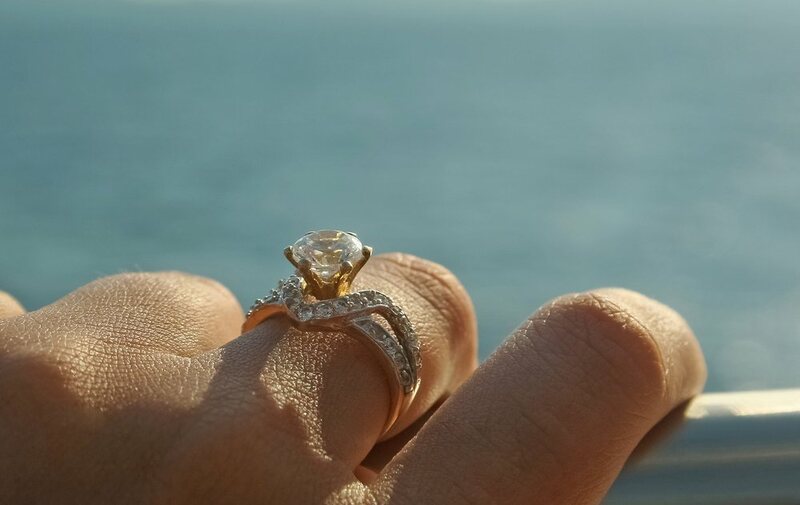 It’s important to remember that even if your budget forces you to settle for a smaller sized diamond, jewelers can create the illusion of a bigger ring! 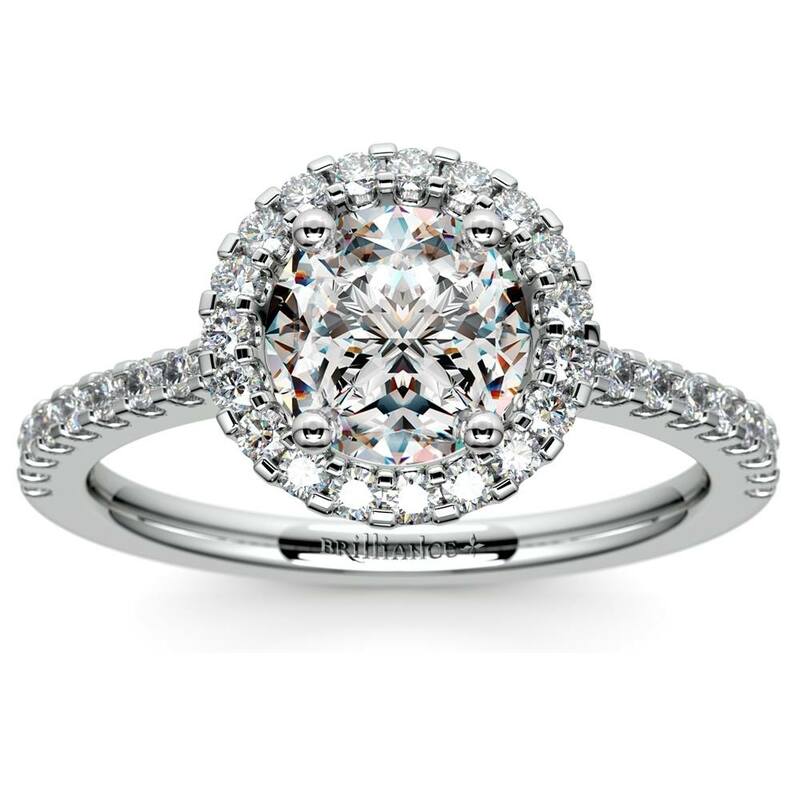 A smaller diamond in a halo setting, or flanked by two side diamonds, can actually appear much bigger than a big engagement ring with just a solitaire diamond. Or, you could choose a wedding band that adds extra sparkle and creates a bigger illusion overall. The options are endless! Keep this in mind when choosing if a big engagement ring is right for you. No matter what route you decide to go, there are beautiful options for rings of all sizes! Pick the ring that will make you, or your bride, the happiest, regardless of the size you decide on. Where do you weigh in on the big engagement ring debate? Share your thoughts in the comments below!